The K80S dispenses labels to punnets with a dispenser speed of up to 34 m/min. The labeller is available in two versions: for clockwise and for anticlockwise rotation. 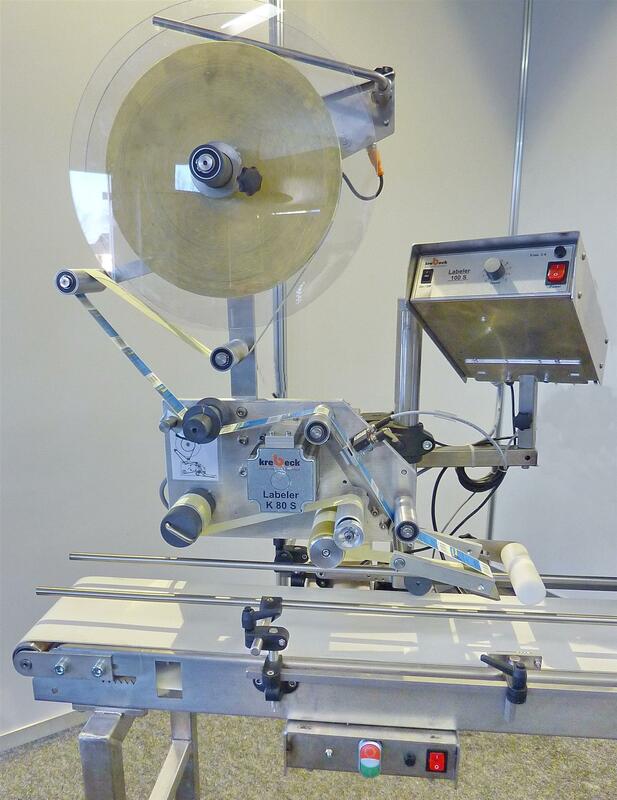 The labels are peeled off from the carrier tape by a length-adjustable dispensing edge and applied to products / punnets with positional accuracy, using a high-quality stepping motor. Microprocessor control, optical label scanning and sensor-assisted product recognition enable easy operation and handling. With its compact design, the labeller allows numerous line layouts.